When you say ‘bee’ chances are most of us immediately think of honey or the almost-cuddly bumble bee, but in fact the world of our favourite pollinators is considerably more diverse. 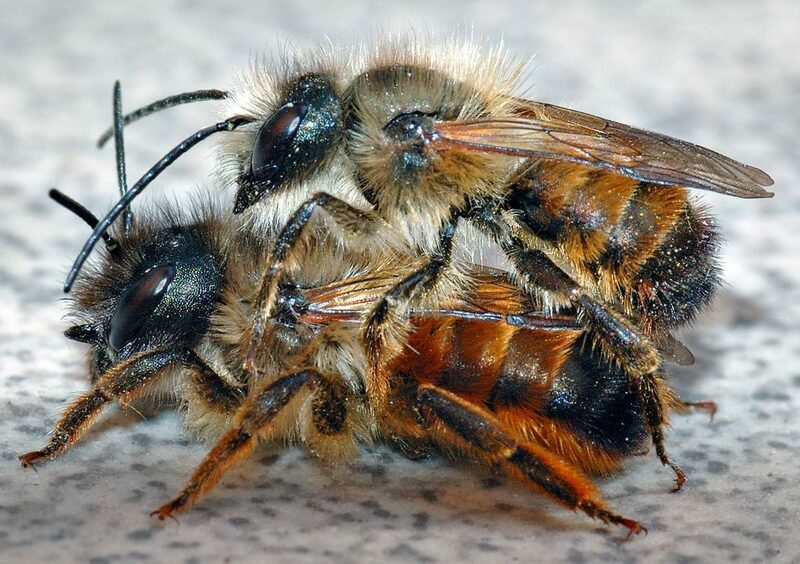 There is just one species of honeybee, 27 known bumblebee types, yet more than 250 different species of other, solitary bees, of which the Red Mason bee is one. 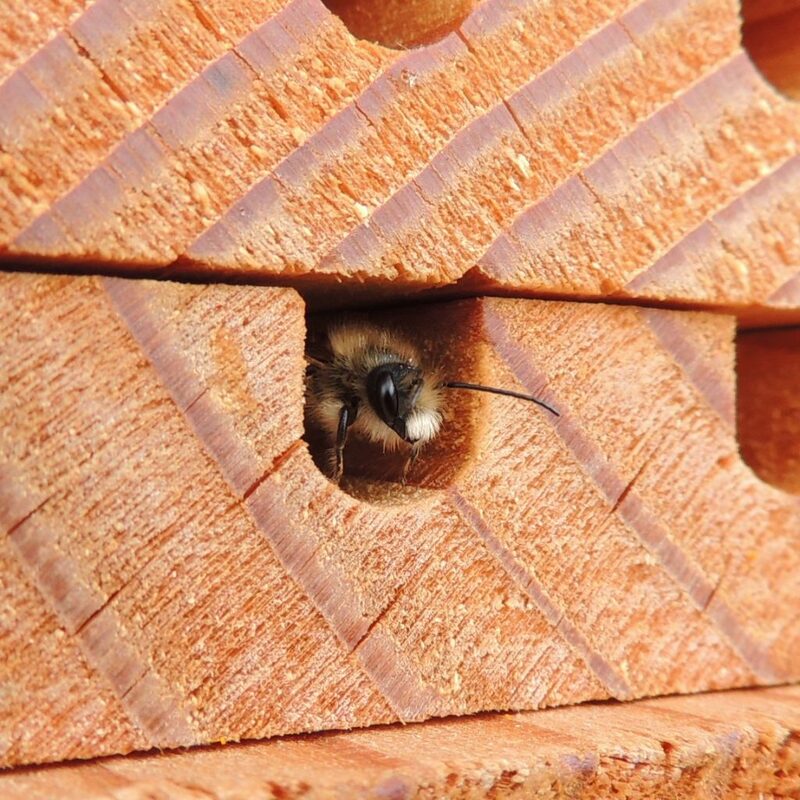 There are, of course, too many facts and fascinating tidbits of information out there to include in just one short blog post, but we thought we’d whet your appetite and start you off with a few things you might not know about the Red Mason Bee. If you’d like to add any, please do so in the comments! 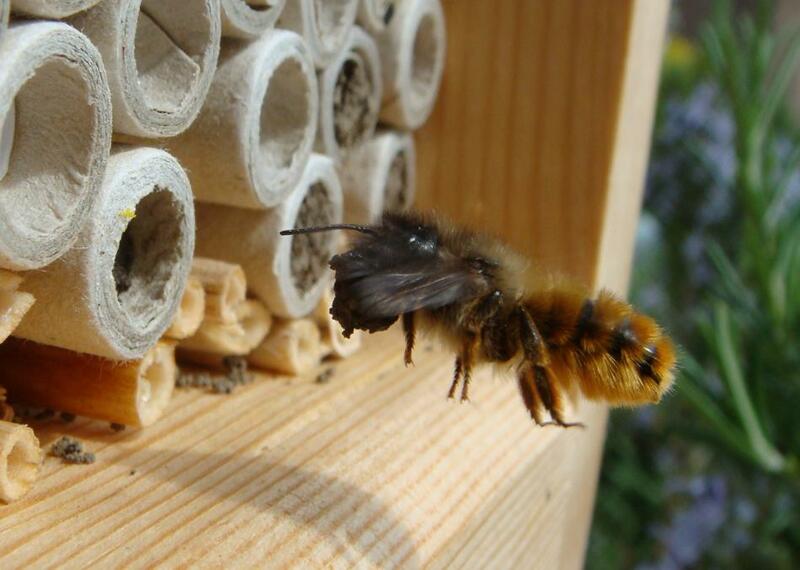 2.Red Mason bees don’t have pollen baskets on their legs, like honeybees or bumblebees. Instead, they collect pollen all over their bodies. What might seem like a rather untidy approach to foraging in fact means that this kind of bee is much, much more efficient at pollinating as the pollen is more easily brushed off as she visits subsequent plants. The proof’s in the pollination: it takes an entire colony of honeybees (or about 20,000) to pollinate an acre of apple orchard, but just 250 solitary bees. 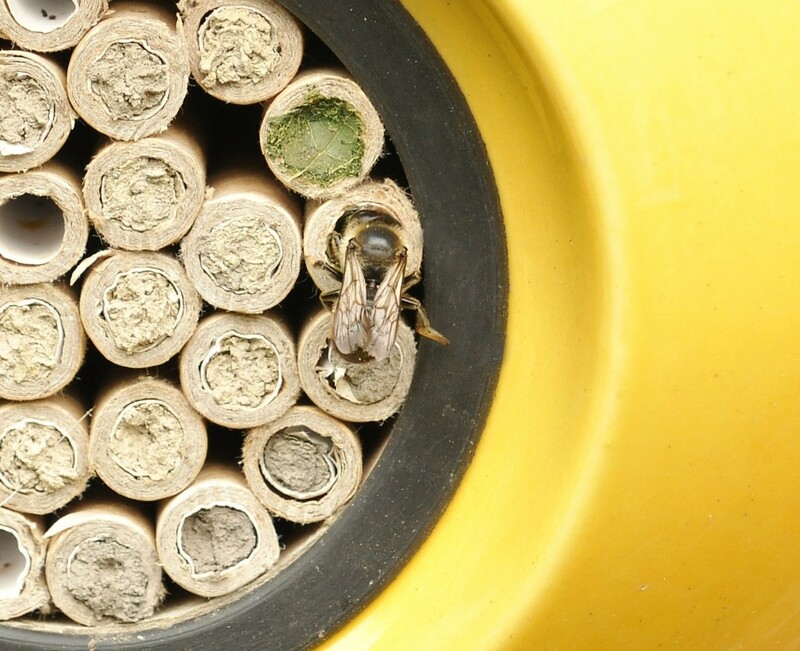 3.The mason bee gets its name from the way it builds its nests: by building walls using mud. 4.They need three different kinds of habitats close by to ensure they survive and prosper: an area for foraging; an area that has a nest site and an area that provides the materials they need to create their nests (ie, a nice, muddy patch). 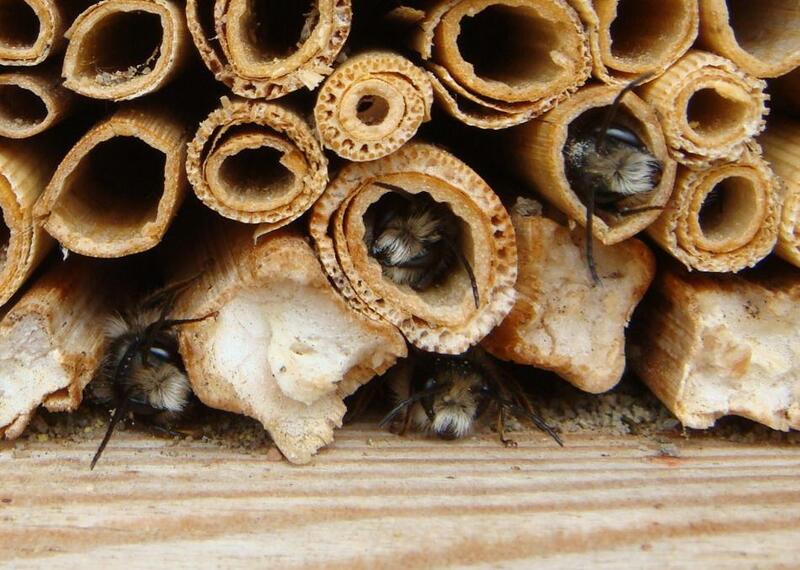 5.Mason bees are solitary, so each female has the Herculean task of both building the nest, gathering food and of course laying the eggs. There are no workers in the Mason Bee universe. 6.In the nest, each cell is lined with mud and pollen, and the bee lays a single egg in each cell until there’s no more room. 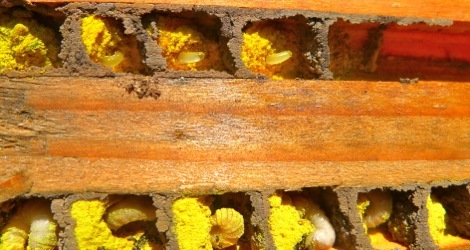 7.The male bee larvae are laid near the entrance of the cavity, and the females towards the back. This is because the males appear a few days before the females. 8.These little bees only live between 10-12 weeks, and die once they lay their eggs. 9.Mason bees can fly in chilly weather, so are already out pollinating when the bumblebee is just starting to think about heading out for a little forage. 10.Bumblebees and honeybees need to collect and store both nectar and pollen (in pretty large quantities), whereas our new best bee friend stores only pollen with just a tiny amount of nectar to bind it together. 11.They have a very, very weak sting – which isn’t barbed – and are only likely to use it if under considerable stress (like being squeezed between fingers). As a result they’re a perfect bee for children to watch.